"Urge Congress to end sugar subsidies the right way!" Urge Congress to adopt the Yoho resolution calling for the end of all sugar subsidies worldwide! "For the last 60 years, conservatives have called for the end of sugar subsidies using the same, standard free market language, and have failed miserably. Rather than telling every member of Congress they should not care if every domestic sugar producer is driven out of business costing hundreds of thousands of jobs, and reinforcing the fears of every farm state representative and senator that their constituents might be in the cross hairs next should sugar subsidies fall now, conservatives need a new, winning game plan. “Unilaterally ending sugar subsidies has been a losing argument for 225 years, dating back to the original protections on sugar during the first Congress of 1789. The Yoho reform recognizes that there is no free market for sugar, and we need to change the international subsidy playing field in order to achieve one. You know what to do. Let’s urge Congress to adopt the Yoho resolution! 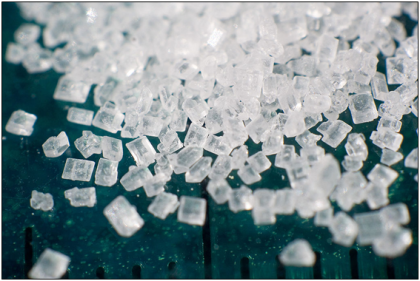 225 years after they were enacted, sugar subsidies are no closer to being eliminated. It’s time for a new plan that might actually work. jerry r. from Mesquite, TX signed. The 800,000 acres of sugarcane needs to be changed to Orange Trees! Kevin J. from Olney, MD signed. william z. from Okmulgee, OK signed.